Obsessed with Scrapbooking: Cricut Imagine Q and A! Cricut Imagine Q and A! Here is a list of questions and answers on the Cricut Imagine that has been received over at Everyday Cricut. Disclaimer: Everything is answered to the best of my ability and information may change over time. Please keep in mind that we received the machine with NO handbook (although everyone who buys one will get one) so a lot of this info is compiled from video interviews with PC and trial and error. 1) How much are the ink cartridges? At this time, the black is $34.95 and the color is $39.95. Are the inks refillable? Not at this time. 2) How many sheets will they print? If you printed entire 11.5x11.5 sheets of full color (i.e. used a pattern over the full page to create what would look like a regular printed scrapbook page), we are hearing between 50-75 sheets. If you cut and print a bunch of different images, such as yesterday's project, that number is much higher at 120-150. I am sure it depends on how color intense the images are and their sizing. The machine comes with black and color ink cartridges full. 3) Can you use the Imagine cartridges in the Expression/Baby Bug/Create? No. They have a smaller housing so they cannot fit. However, the regular Cricut cartridges (full size, solutions, lite, cake) will fit in the Imagine and you can either "print and cut" using Imagine colors/regular ink colors or just "cut". You could also put regular scrapbook paper in the machine and just cut the images(same as the Expression/Baby Bug and Create). 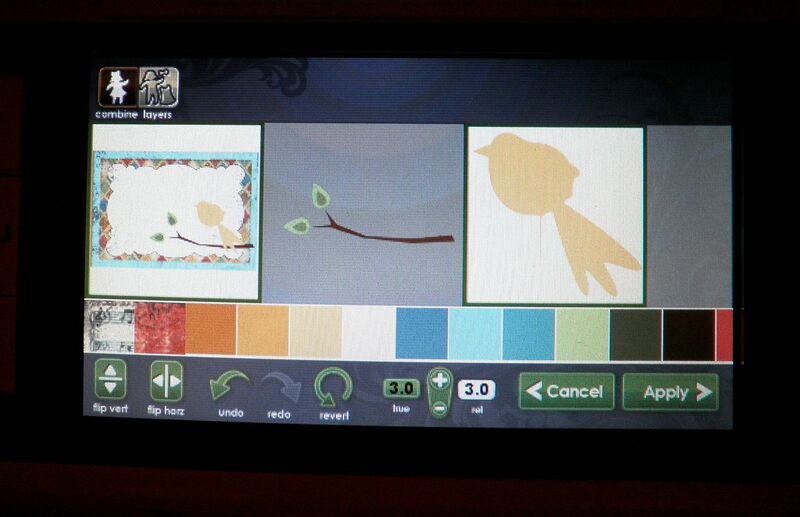 4) Can you mix and match the images from the Imagine cartridge and change the colors? Could I have cut a yellow bird (from yesterday's project) instead of orange? YES! See photos below! 6) What type of 12x12 white paper came with the machine? We do not know the brand but it was good quality, smooth cardstock. We also tested the Georgia Pacific white cardstock from Walmart ($6 for 150 sheets of 8.5x11) and some Bazzill embossed cardstock and they all printed and cut fine. 7) So how about if we have the patterned paper already. I am guessing we would have to use white only all the time. We would not be able to cut the bird out of patterned paper I already had? NO! You can do it. 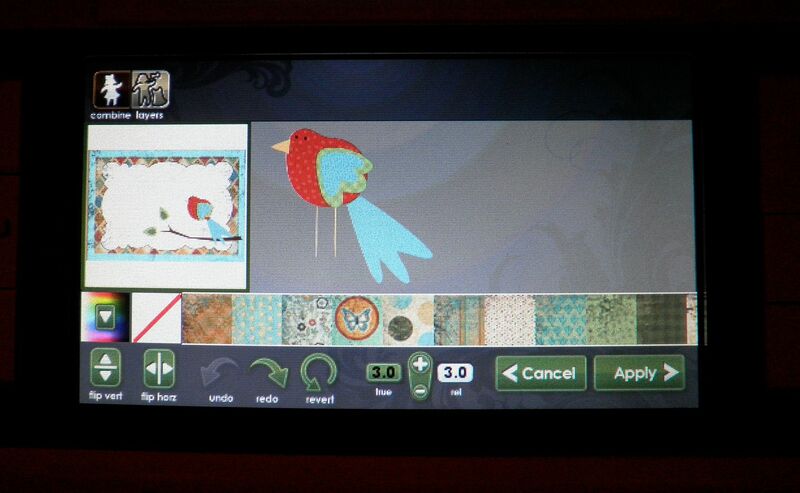 You can select an outline only button and it would cut the outline of the bird. See photo below. 8) What is the difference in the mats and can they be used in the regular Expression? The main differences are that these mats have a new glue to them and that they have thick black edge markings around them to tell the machine where to stop printing. They will work in the Expression. We were told that these will be the new standard mats for all machines eventually. 9) Can I use my existing mats in the Imagine machine? No. There are dark lines all along the edges of the Imagine mat that define it for the machine. You can use the Imagine mat in the Expression machine, though. The Imagine does not have a 12x24 mat at this time. 10) I heard that we will be able to put the imagine cartridges on the Gypsy. Will we be able to cut Imagine images from the Cricut expression through the Gypsy? I know we wouldn't be able to do the coloring but I am asking about the images. If not will Provocraft be making regular Cricut cartridges with the same designers they are using for the Imagine cartridges. I saw they will have Cosmo Cricut designs available for instance on the Imagine. Will CC be designing a regular cartridge as well. I will have to find out the answer to this. 11) How much is the Cricut Imagine? MSRP is $499. We do NOT know what HSN will be pricing the machine at or what the package will be at this time. Tune in to HSN on Tuesday, September, 14, 2010 at 12:01 a.m. EST to find out more. 12) When you are printing your images, are you using best quality or draft? Is there a significant difference? For blog purposes, we have only used best quality. But, we will be testing this and will let you know. 13) How does print quality affect printer ink life? We do not know at this time. Of course, we assume it would last longer. 14) If you want to cut, instead of print, a single image like that bird, you can only get the basic shape of it, not layers? As in the example yesterday, that is true. The bird won't layer itself. BUT some of the other images break into layers. So, it is dependent on the image itself. 15) Can you pick just one element to cut out of the Imagine carts? for instance, yesterday, could you have chosen to just cut out your bird? Yes, you can. You can cut out the bird like below (with all its layers and colors) OR the outside shape either filled in with color or using your own patterned paper. 16) Can you print, unload it to look at it, then reload it and have it cut the image you just printed without any troubles with realignment? We haven't tried this yet. Will have to get back to you. 17) You mentioned you can print a full size 11.5x11.5 paper- does it actually print a full 12x12 sheet of paper or does it print at 11.5? No, it will only print at 11.5x11.5. 18) The screen on the imagine, how is it compared to the screen on the gypsy? The screen on the gypsy is pretty small in my opinion. The screen is a little larger and in color, which makes a HUGE difference. BUT, you will need to be able to pull up a chair to work the screen properly so a desk setting probably would be best (or the end of your dining room table if you are Joy....for now, at least!). 19) I have the Design Studio and it is not compatible at this time.... Do you know if it will be in the near future? We do not know what the timeline is for that. 20) I'm not really tech savvy and that is what concerns me. Is the machine hard to use? It is surprisingly easy (and we're not just saying that!). We are working with NO MANUAL whatsoever and in about an hour, we were making things with no trouble. It will take you less time since we made videos on some of the things that took time figuring out (loading print cartridges and calibrating). 21) If you were just going to cut something from one of the original carts would you use your expression or do you see an advantage using the imagine? Oh and can you weld on the Imagine machine without the gypsy? It's almost the same as using the Expression now although it does not cut as quickly (high speed on the Expression is VERY FAST). But, the scallops on the circles are perfect! You CANNOT weld using the machine alone. You would need the Gypsy to do that. 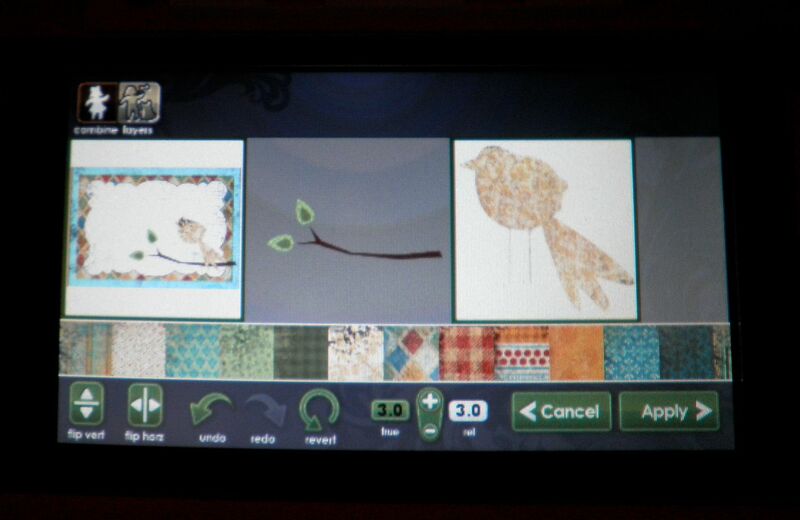 22) My question is this, although your lo's looks great, some projects look "printed" with the imagine. So does the gate look like it has been "printed"?? Or any other printed images, do they look like they have been printed? First of all, the gate is individually cut out, just like the Expression does - I just filled it in with black color instead of using black paper. For the regular images, such as the bird card from Monday, if you print out the image flat (without layers), it does look printed. If you cut it in layers, it doesn't because you can see the layers and variances. And, with the layers, you can texturize with the Cuttlebug, sand, ink, add pen work, etc. 23) Do you know what the blade housing is made from? Heavy duty plastic - feels more sturdy than the Pink E. However, I have the Pink E and it gets quite a workout and the blade housing works like a champ. 24) How much are the new cart. going to run do you know? New full Imagine cartridges with images and color design choices will be $89.99 MSRP and the Imagine cartridges with just color design choices will be $49.99. There are many Imagine cartridges coming up SOON - Check out the cartridges HERE! 25) How do you use the Gypsy with the Imagine? There is going to be a Gypsy update. So, for now, we are unable to show that. 26) Can you print sentiments onto the Imagine images using a Cricut font cartridge? For instance, on the card you did yesterday, could you have printed the sentiment instead of using a stamp? I could type out letters and fill them with color and print them out or just cut them out. Or I could use word art on a current Cricut cartridge and fill it with color, print it out or just cut it out. But I can't take a word document (for instance) with wording and print and cut it because there is no way to attach to the printer. 27) My question is can you cut vinyl and magnet material with the imagine? There will be a special Vinyl released to be cut in the Imagine. 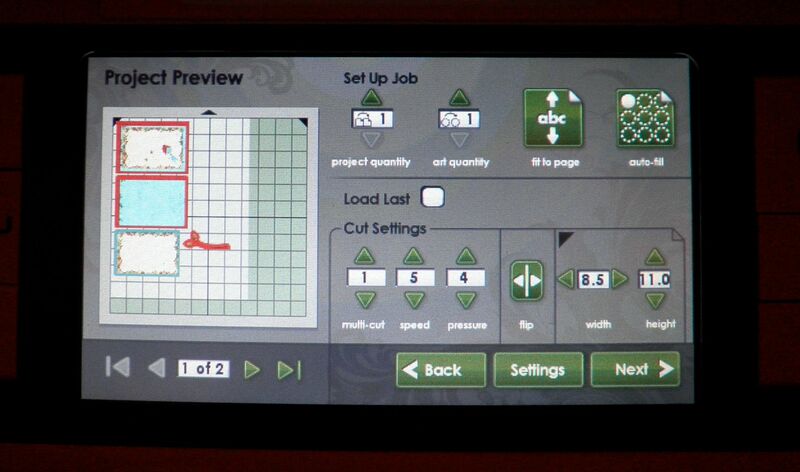 It has to do with the what the machine can handle (either heat or ink is the issue...). Magnet material may be too thick to go through the machine. I have not tried it so I am unsure of this. 28) Do you see the Imagine replacing the Expression or would I still have a use for both? The Imagine is like the Expression PLUS way more. BUT, it is heavy (27 pounds), large and not terribly portable. So, cropping with it would be hard. Also, Imagine cannot cut the bulky stuff (chipboard, magnet, etc.) so that would need to be factored in. 29) My question is are we going to be able to use glue to make our mats sticky again. Seems like that would be risky with the printer. If not how much are the new cutting mats going to be and how long will they last? Not sure. Will find out for you! wow - lots to digest here - thanks for the information! Thank you so much for all of the information! You and Melanie are so very much appreciated for all that you do! Thanks Joy! Great info. You also want to hold onto your E if you want to cut with the big mats :D.
Thanks for all the information. Seeing your projects and watching HSN I broke down and placed my order! I do have a q about the ink carts. Is HSN the only place to purchase them? I could not find them on the HP site. Thanks again for all the help and inspiration you and Melanie have given us! I have a question that maybe you can help with. 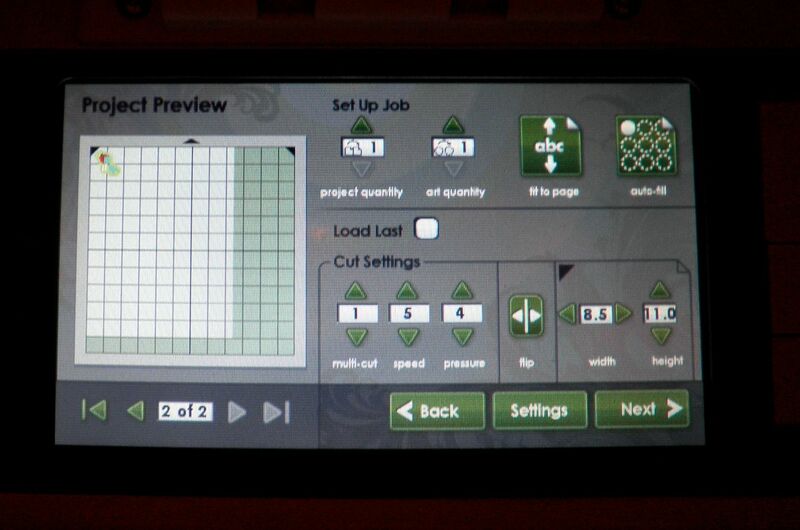 On the Cricut Imagine what is the difference between true and relational sizing? When would you need to use relational sizing? The book that came with my "I" dosen't explain this, nor does the DVD. Hey there I posted a question on the 7th of October but haven't seen any correspondence as of yet. Are you two having that much fun with your Imagine? ur blog is gonna be a great asset for using my Imagine! so glad i found u thru ur Christmas Imagine Cart contest! weight loss. I can live with losing eight because I gained a lot more. To bad Cricut didn't Stand behind their Cricut Imagine, when they found problems with them and stopped making them. Mine was a LEMON. When I did enough complaining, they credited me $40.00. Big deal, now it sits on the floor in my craft room, unable to be used. I'm finding it very hard to purchase the new Explore.